I am a crafter, I always have been. I get a thrill out of making something pretty with my own 2 hands. I am most comfortable with and excited about crafting with paper. Whether it’s flowers, a wreath, cards, or favors I love the versatility of pretty paper. This week I updated some Christmas art I had in my kitchen that I had made with scrapbook paper. I used the same technique to create bright and uplifting pieces of floral art perfect for the coming months. This is the Christmas art I had up for a couple of months. I created a simple “joy” print using some stock images and text and cut a deer from cardstock using my Silhouette. I applied the same technique for this floral art. 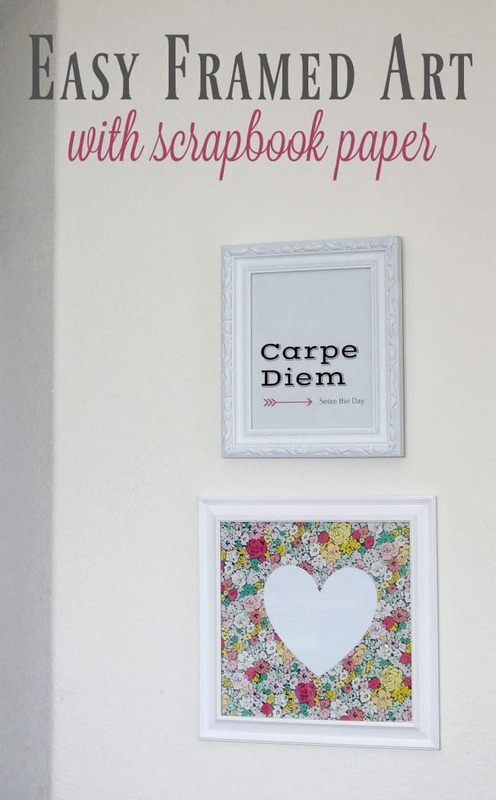 I started with pretty floral scrapbook paper and layered a white heart cut from cardstock, such a simple way to accessorize a wall. 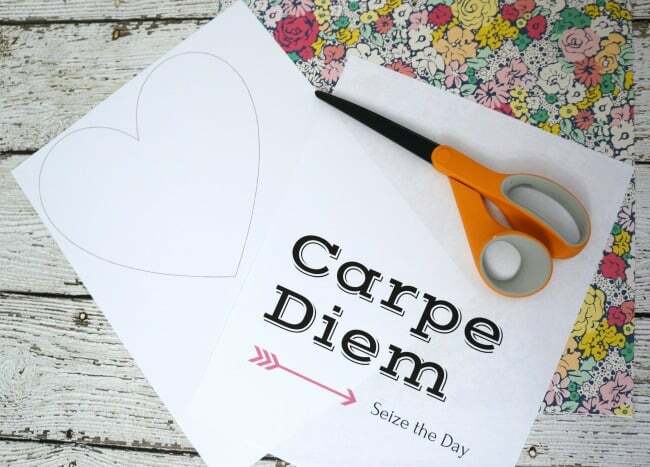 For the other frame, I typed “Carpe Diem” using a bold font and printed it on plain white paper. The only cost for this floral art was a new piece of 12×12 scrapbook paper, around $.50. 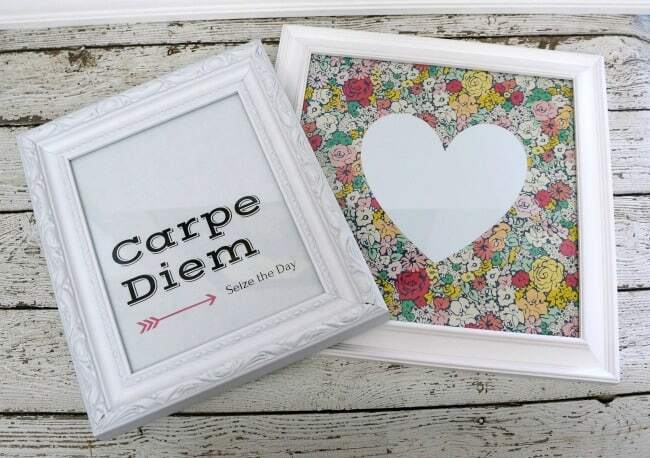 I would say that is pretty easy framed art. 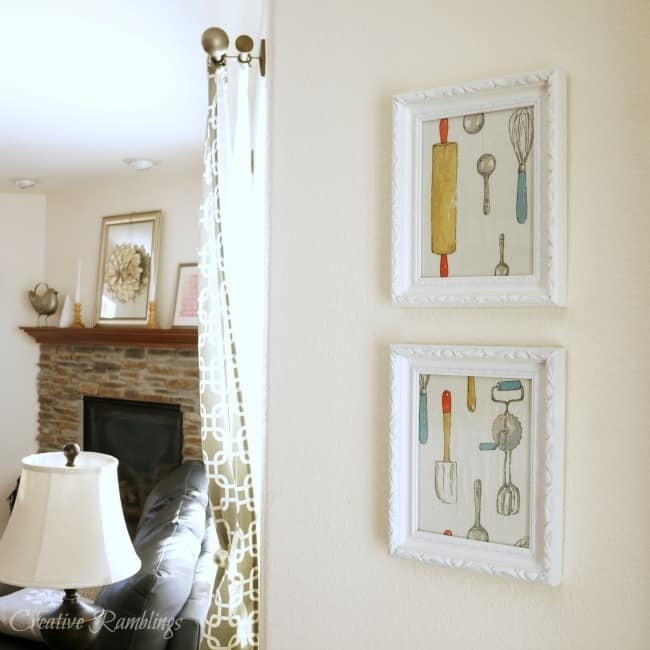 My go-to art on this wall has been these framed kitchen towels, another easy and inexpensive way to dress up bare walls. 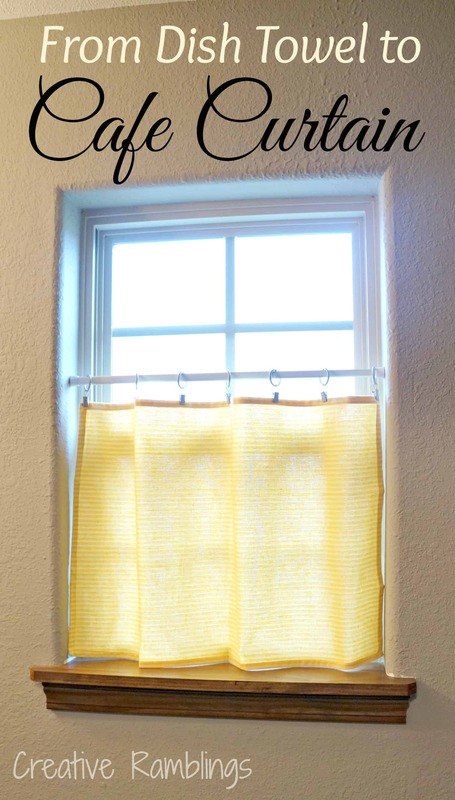 I am on the hunt for some thrifted towels that I can use in these frames this summer. 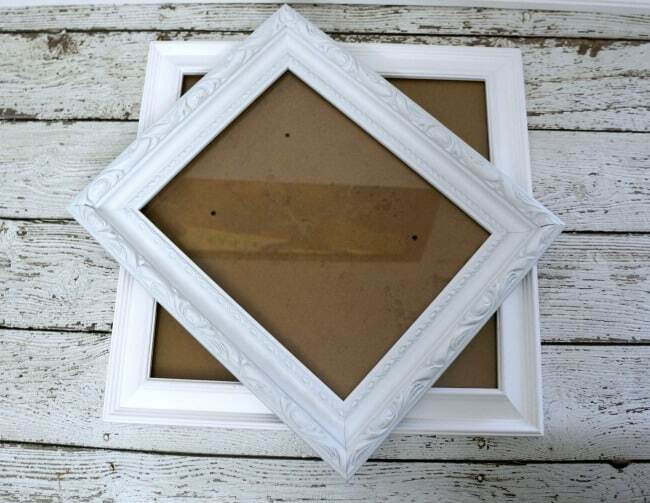 Tell me about something nontraditional that you have framed. I love new, creative ideas.